Are you looking for Warehouse space hire or pallet storage? From shared user warehousing, dedicated solutions, pay as you go or fixed term contracts, contact us for secure, flexible warehouse space. We also have racked storage, bulk storage, automated and mechanised options available. All of our warehouses have been vetted by us. We act for a range of occupier clients, from small industrial businesses to national logistics operators and from local professional services to corporate HQ office occupiers. We cover the whole of the UK and Ireland, providing customers with cost efficient storage solutions and warehouse space in ideal geographic regions. We will never compromise on quality, safety and the security of customers stock. Warehouse Space.co.uk is an innovative and simple approach for landlords, owners and operators to advertise and fill available warehouse space. 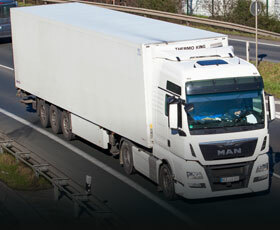 Whether your company needs storage for 10 or 30,000 pallets, you’ll be able to source an ideal storage area through us. Chilled food, frozen food storage, ambient grocery, textiles, hanging garments and general merchandise options are all available. Customers with available warehouse space, whether it is shared user or dedicated space, can advertise on this site for any length of time free of charge. We introduce buyers and sellers and aim to ensure the best possible solution for both parties. We can provide everything you need. You may simply require warehouse space to operate and manage, but we are also able to offer everything needed for a fully managed warehouse service. Our network of logistics experts and partners around the UK and Ireland, have current market knowledge, which supports our business and delivers the right solutions and results for our customers. Our extensive network of warehouse space to rent, helps companies to source the specific space they require. Our extensive network of warehouse space to rent, helps companies to source the specific space they require. Our thorough understanding of the Supply Chain industry enables us to quickly provide the right solution and locations for our customers. We have over 40 years’ experience of implementing, managing and utilising warehouses throughout the UK and Ireland, resulting in us providing you with the warehouse space which is fit for purpose. Working with us removes the hassle of finding the warehouse capacity you need. Our detailed warehousing knowledge and understanding has been gathered through working with many of the UK’s leading blue chip retailers, manufacturers, 3PLs, freight forwarders, wholesalers and general traders delivering highly successful operational solutions. Whether you’re looking for small numbers of pallets to be stored for a short period of time, or you need longer term space to support your business growth, we have it a storage solution for you. 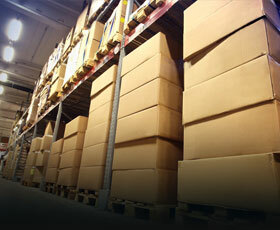 Contact Warehouse Space to discuss your requirements. Our extensive network of warehouse space to rent, helps companies to source the specific space they require. Our experience in the Supply Chain industry means we know what you can store and where you can store it. Copyright © 2017 Flanagan Logistics Warehouse Space. All rights reserved.